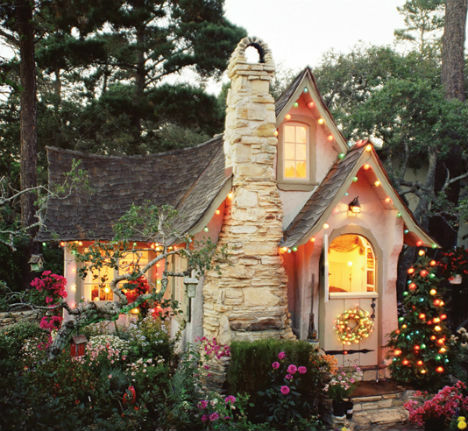 Humble and beautiful in their imperfection, little cottages with hand-made details call to mind the tales of the Brothers Grimm and other fairy stories, making us long for an adorable abode to call our own. 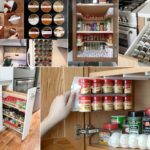 These tiny houses provide inspiration to simplify and live smaller, and they’re definitely fun to look at. 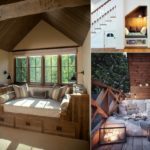 So make yourself a mug of hot cocoa, settle into some blankets and get ready to daydream about cozy snow-covered cottages brimming with the magic of storytelling. 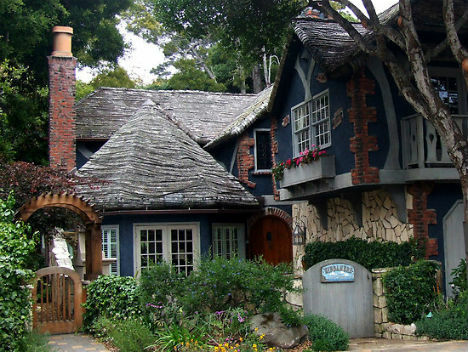 You could say this is a real, authentic fairy tale cottage. 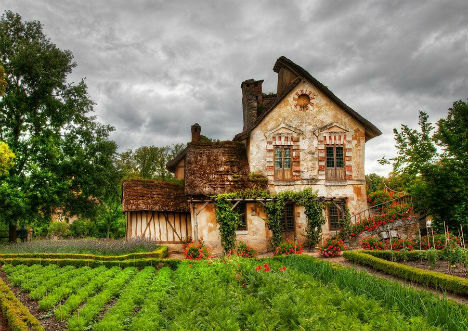 It’s called ‘Hameau de la Reine’, or the Queen’s Hamlet, and it was built for Marie Antoinette between 1785 and 1792. 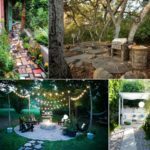 Everything from its proportions and thatched roof to its lopsided staircase and beautiful garden serves as ideal inspiration for modern-day cottage copies. 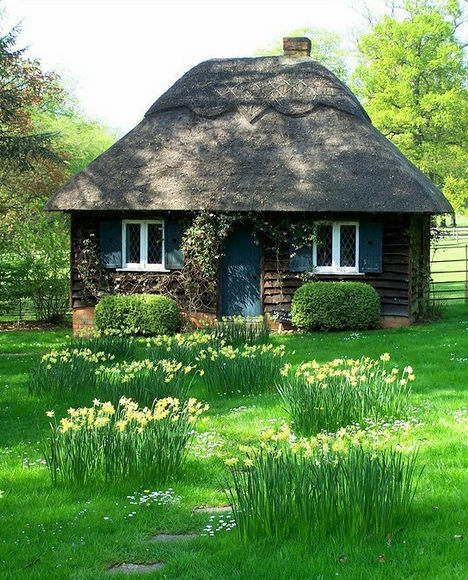 Thatched roofs, as seen in this adorable example, are one of the hallmarks of storybook homes. Thatching methods are used all over the world but are most closely associated with the countryside of the United Kingdom. 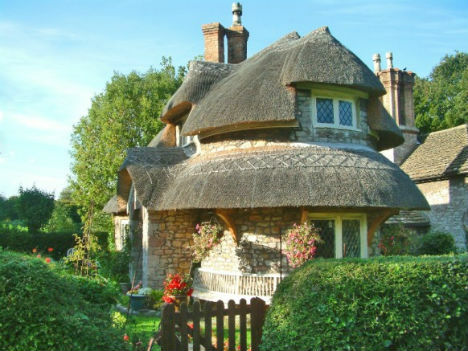 Over 250 roofs in Southern England have coats of thatch that were applied over 500 years ago! This sweet stone cottage has a sculpted thatch roof, leaded glass windows and multiple chimneys along with a gated garden – can it be any more evocative? 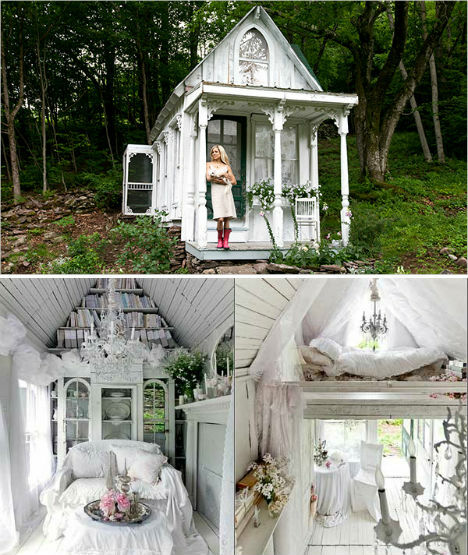 A hunting cabin transformed into an all-white, shabby chic cottage in the hands of Sandra Foster, who uses it as a romantic retreat. 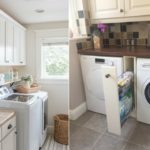 The cottage measures just 9 by 14 feet and cost just $3,000 to renovate and furnish into this Victorian beauty. 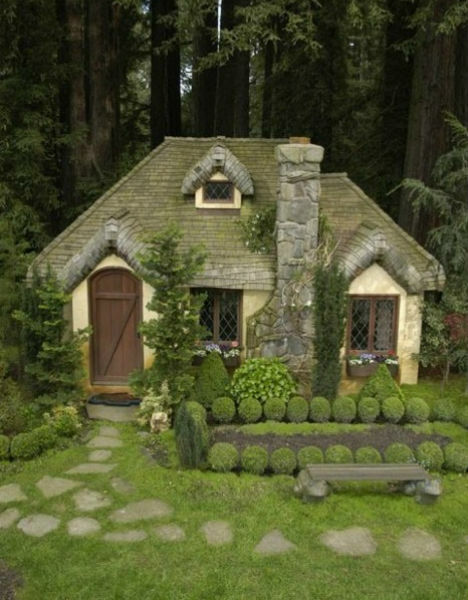 This little cottage almost looks too perfect to be real. Its setting, just against the dark woods, contrasts with its picture-perfect topiaries and welcoming steps. 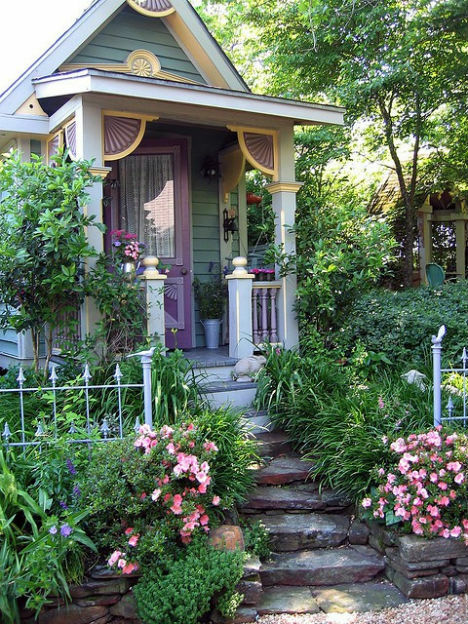 It’s a playhouse and garden shed rather than somebody’s home, but this tiny colorful house with Victorian details could easily house a person inclined to live small. 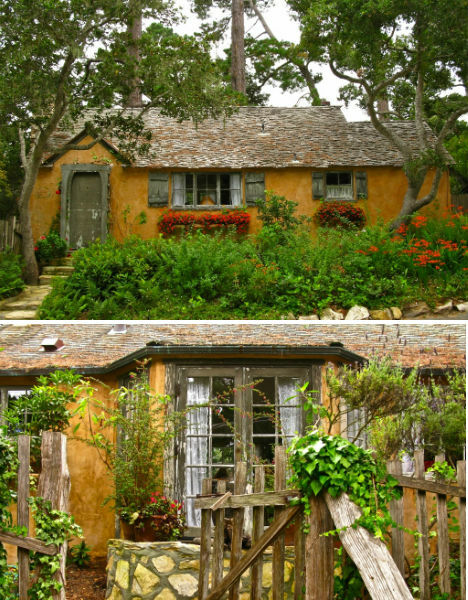 Cecile’s Garden is reminiscent of a Tumbleweed House, which are tiny wooden houses built on wheels or foundations. 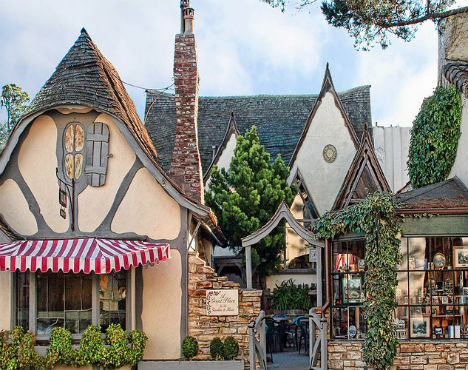 There’s no greater modern-day fairytale village than Carmel-by-the-Sea in California. This community features a number of charming homes built in the 1920s by Hugh Comstock. 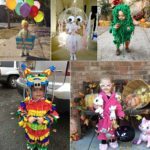 It all began when the architect’s wife asked him to build her a doll house as a show room for the rag dolls she sold, and the result was ‘Hansel’, above. 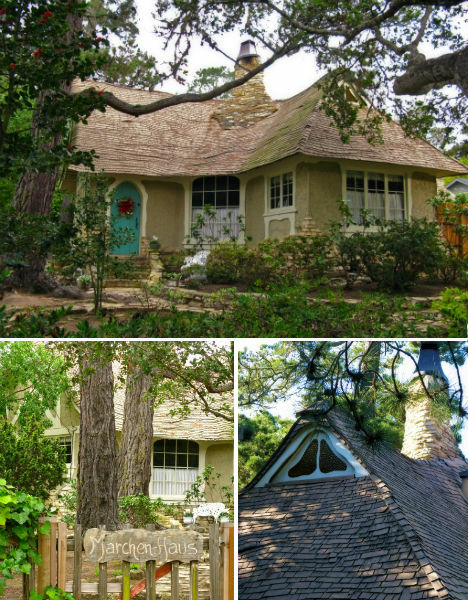 Windamere is another Comstock cottage in Carmel, with its most eye-catching and distinguishing feature clearly being its unusually textured roof. The cedar shingles were steam-bent to curve and meander along the surfaces of the roof, a skill that is not easy to find among today’s craftsmen. 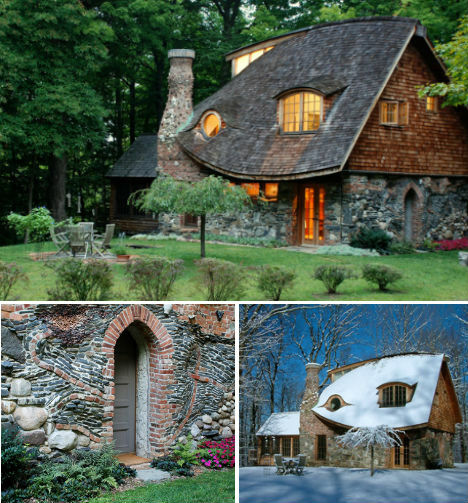 Imagined by many a passer-by to be the cottage of the Seven Dwarves, Sunwise Turn is another Comstock creation. 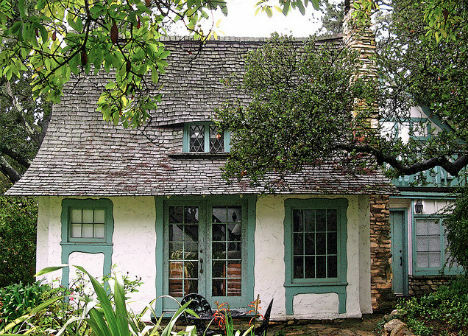 Shabby and sweet just as a real unkempt cottage in the woods, the home also known as the Elspeth Rose house is totally timeless. Obers was Comstock’s own home, made of adobe brick, local stone and hand-carved trim. Looking almost like something straight out of Disneyland, the Tuck Box was Hugh Comstock’s office and was built in 1927. It’s now the Tuck Box gift shop, which includes a tea room. One more Comstock house to make you sigh in dreamy envy. Marchen Haus bears all the hallmarks of a lovingly hand-crafted home including asymmetrical windows, curving roof tiles and a misshapen chimney. Who wouldn’t want to live in an old rectory in the English countryside? 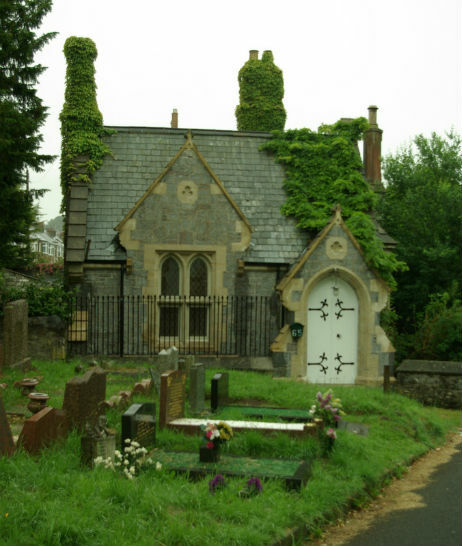 This old groundkeeper’s cottage is now a private home, still adjacent to the old cemetery with which it was once associated. 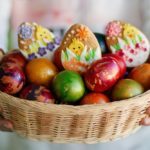 From Poland comes another stunning hand-crafted creation. 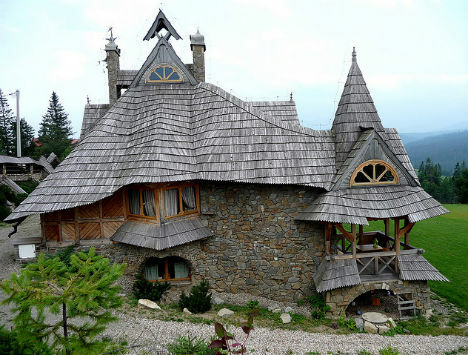 This cottage is located in Białka Tatrzańska, the Tatra Mountains.